In what proved to be a very close-run competition, an entry from Sean Carr and his friends Kathryn and Sarah filmed by mum, Tami Carr, took first prize, winning £10,000 ($15,500) which they have donated to Cusuna Missions, a charity working to improve the lives of a remote Honduran village. NateFietzer.com endorses Friends and Heroes! 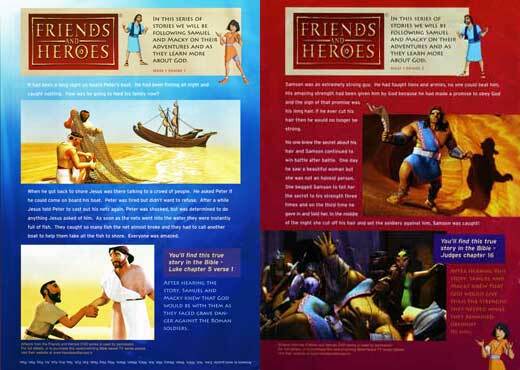 Popular children's ministry blogger Nate Fietzer recently gave a enthusiastic review of Friends and Heroes. Nate said, "I appreciate the fact that the creative team took the stories from the Bible and interlaced them into the series to not only keep the kids attention but also to teach the timeless truths." He also went on to say, "I encourage every ministry to seriously consider purchasing the series." Creative Ministry recommends Friends and Heroes! "In my house one of the first opinions I count on when it involves products designed for children is my eight year old daughter, Christy. I asked her to watch the video and share with me what she thought. One of the tests I use for videos is does she want to watch it again? Does she want the story to continue? Can she relate to the characters in the stories? Well, I can say that each of these questions was answered with a resounding YES! "As for me I look a things like the quality of the animation. Does it compare with what we see on Cartoon Network? Is the music right for this age group? Is the writing well done? Do the stories align with scripture? Again, I would respond with a YES on all counts." 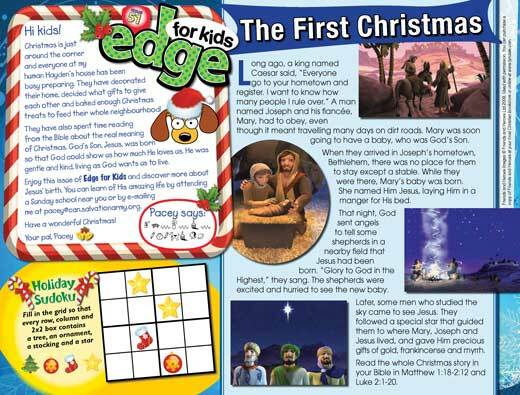 This monthly children's magazine has decided to follow the Bible stories in Friends and Heroes each month this year. We are delighted to be able to provide our images as they follow Samuel and Macky's adventures each month. 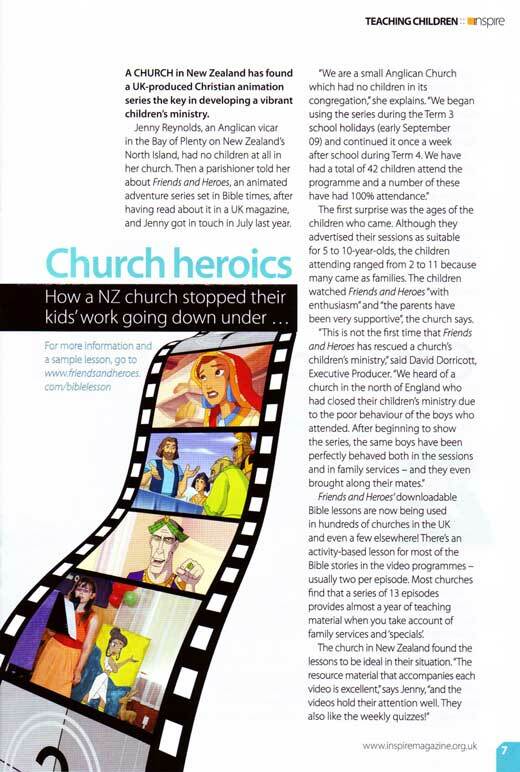 Just before Christmas we heard about a church in New Zealand which had gone from no children at all to over 40 regular attenders in a single school-term. 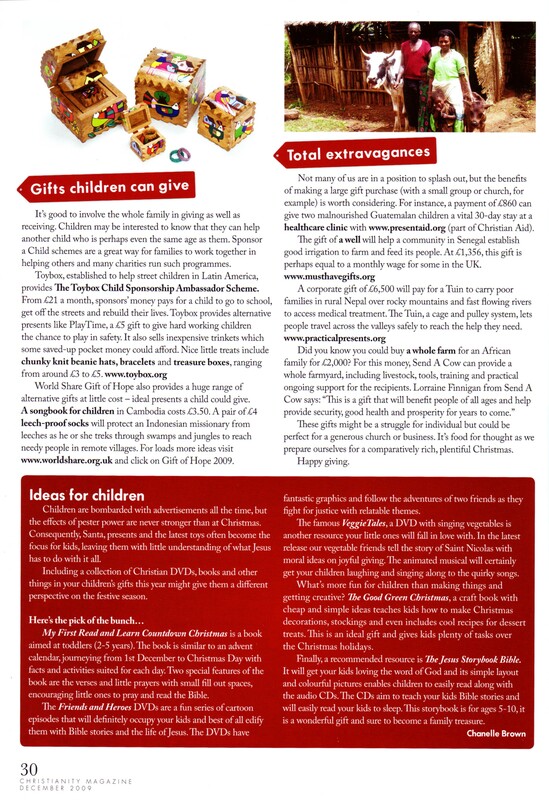 We wrote a webpage about it and Inspire Magazine told their readers about it too! It is the time of year when magazines create round-ups of the best resources they have seen in the previous twelve months and we are always thrilled to see Friends and Heroes mentioned! 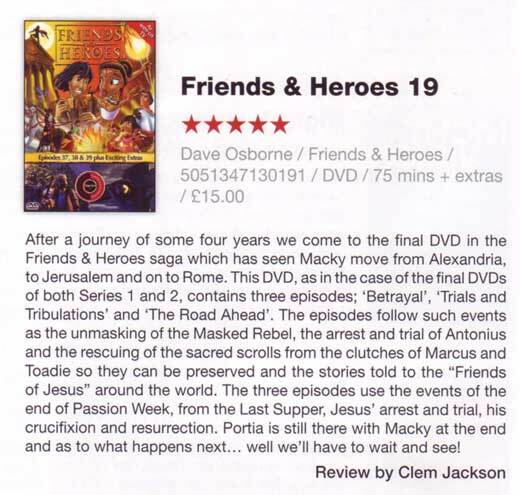 Friends and Heroes regularly receives compliments and awards but we were thrilled when our final DVD was reviewed in this magazine for bookshop managers and staff. It is the fourth time we have been given their highest award! They also covered the release of Bright Sparks our new Party Pack in their news pages!